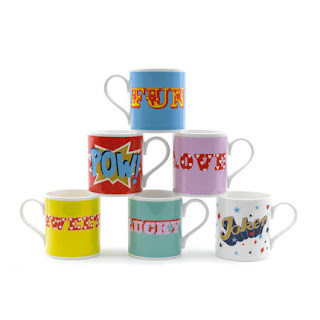 LOVE these pop-tastic mugs!! Playful and oh, so colourful! Pop culture bevies, coming up. Me likey. Shame I don't drink tea or coffee. Could always use them for ice cream, or for when guests visit. These cups are too cute to pass up.